I received a warning from my ISP (AT&T) a few weeks ago about a PC accessing a sketchy (possibly a botnet) IRC service. I haven't noticed any unusual activity on my PC's but I ran malware and AV scans on them all, including rootkit, etc. So far nothing discovered. In an attempt to narrow down which PC might be the problem I enabled logging triggered on IRC ports (6660-6670) and setup a syslog server. Nothing much was found so I thought it may have been a fluke until today when I received another email from AT&T. Can anyone help me figure out what is happening? It seems like the traffic is not from my LAN but from my PFSense Router (but I'm not sure). The IP 85.190.0.3 reports (google search): "This is the freenode IRC network proxy scanner service to detect abusive hosts and misconfigured proxies. If you see portscans/abuse from 85.190.0.3: Please read http://freenode.net/policy.shtml#proxies"
I'm worried that it's possible I have something setup wrong on my router and it's being used as a proxy? Or, worse, it's setup OK but there is an exposure in the software. If it was a PC I Should have seen the PC's IP Address from my LAN Subnet in the logs, correct? WLAN and LAN are bridged. what rules you're having on wan? so you're having vpn. what vpn logs tells to you? I'm not seeing anything in the VPN Logs. In the System Logs \ Settings I have PPTP VPN events checked, should I have anything else captured? I'm the only one who uses the VPN, unless it's hacked, so if I need a rule to capture that traffic / status besides the above please advise. use capture on wan and capture anything let's say around 10 000 packets, you might see something(it's still guite narrow window) but don't be disappointed, if nothing extra ordinary is seen. 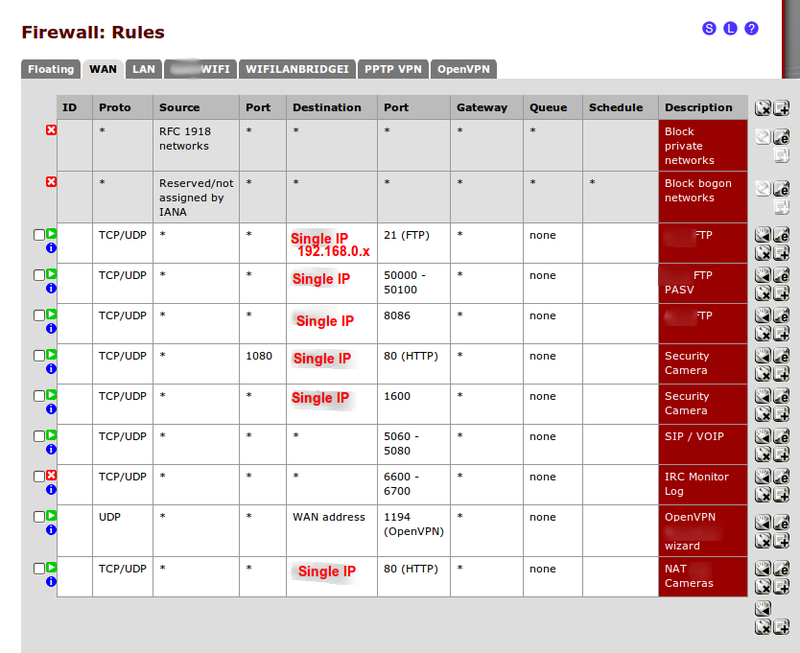 i just asked to see wan rules, if you have opened too much ports, like made proxy accessible outside world. you also might want to change admin password if you have only password authentication on that vpn. Thanks, since the email is a few weeks apart, I'm not sure if the malware is running constantly or not, I assume not. My VPN is running SSL/TLS + User Authentication. I've got the ports for IRC blocked now and logged, so, I'm hoping I'll get a little more info that way. I may just disable VPN for a bit too since I don't really need it running all the time.